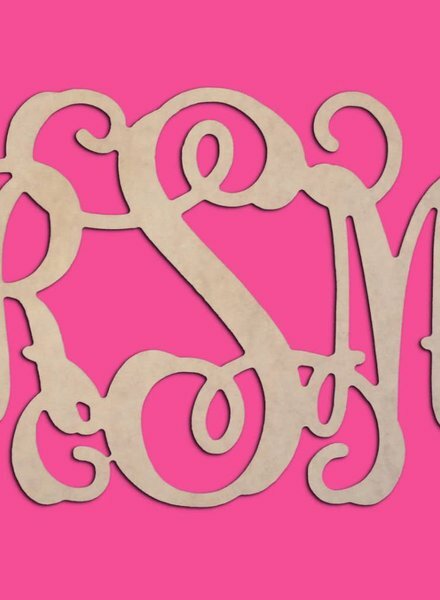 Wood wall 3-letter monogram. 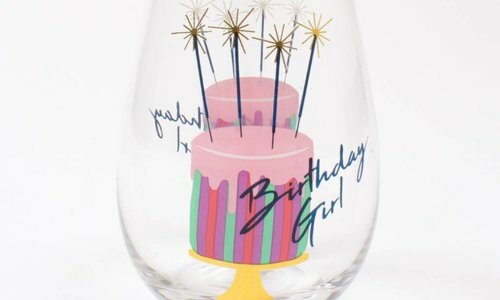 Outside initials are classic font, inside initial is vine script. Hang it on your front door, in your home or in the dorm. Arrives unfinished and ready to paint. 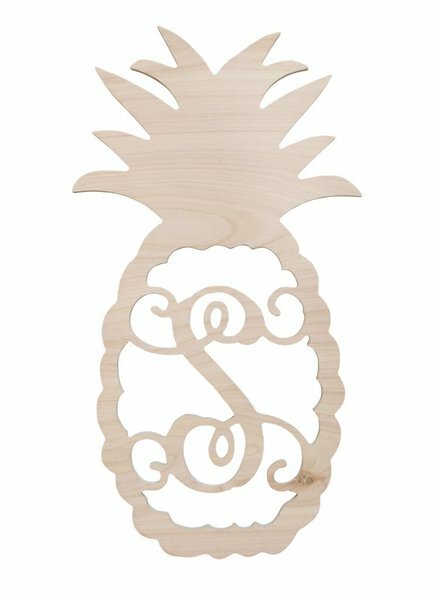 Pineapple wood monogram comes unfinished and ready to paint. 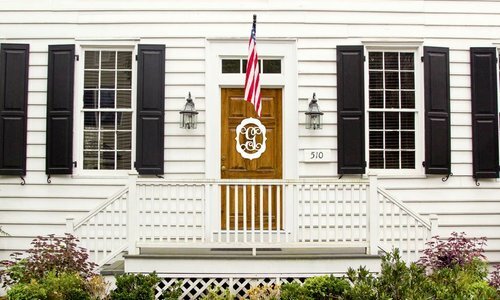 Great to hang on your front door, for a wedding gift or home decor. 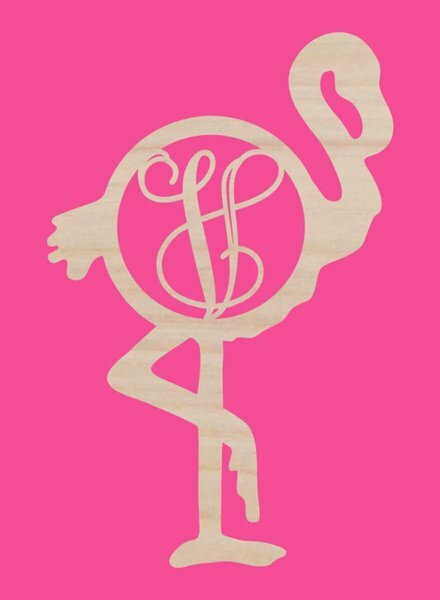 Single initial in wood flamingo design. Comes unfinished and ready to paint. Makes a great door hang, housewarming gift or tropical home decor piece. 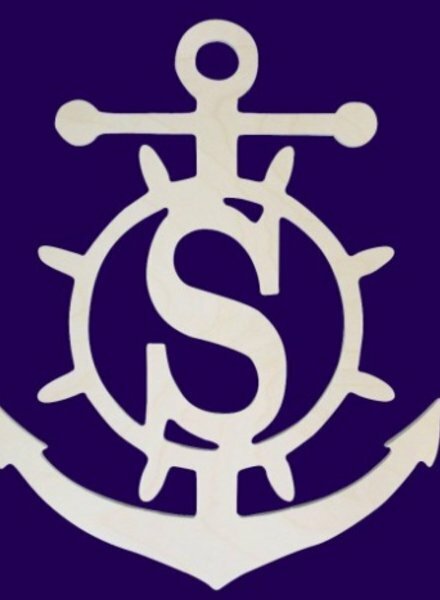 Single initial in wood anchor design. Comes unfinished and ready to paint. Makes a great door hang, housewarming gift or coastal home decor piece. 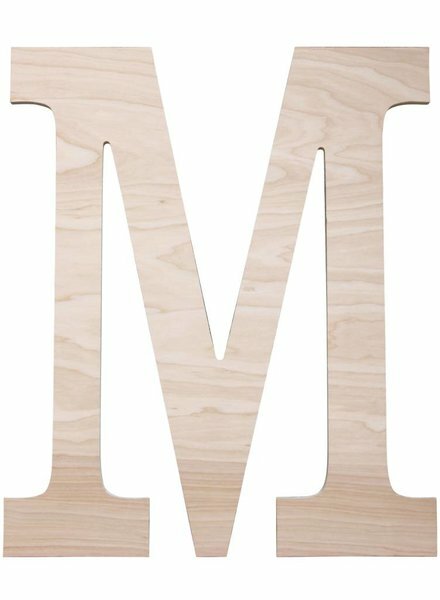 Wood wall 3-letter monogram in vine script. Hang it on your front door, in your home or in the dorm. Arrives unfinished and ready to paint. 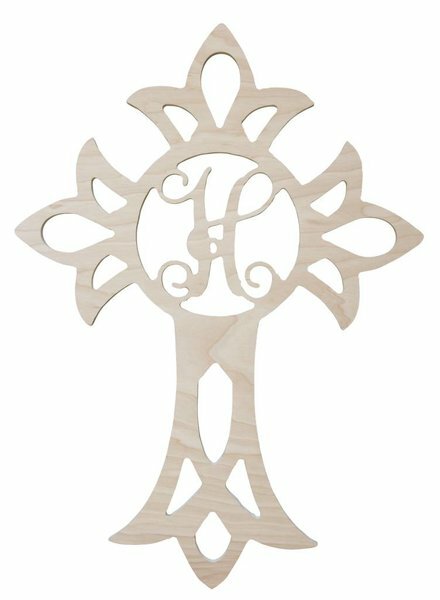 Single vine initial nestled within a snowflake design. Comes unfinished and ready to paint. 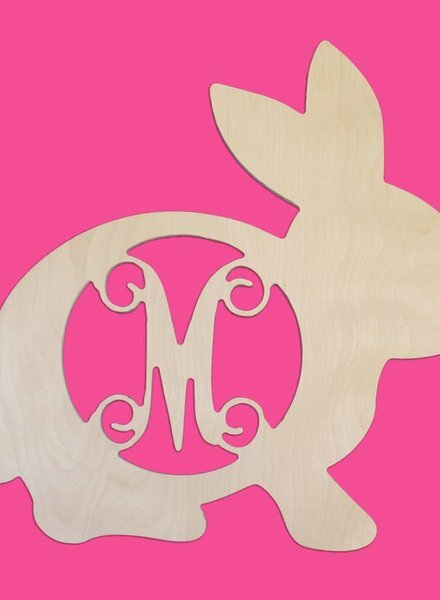 Great for winter home decor, add it to a wreath or place it above the fireplace. 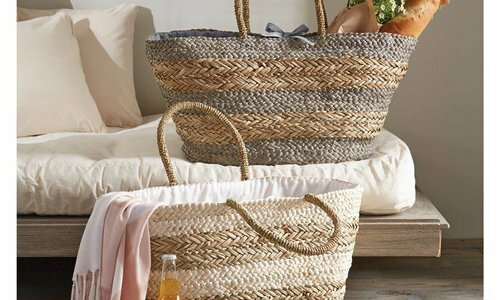 Get football season ready! 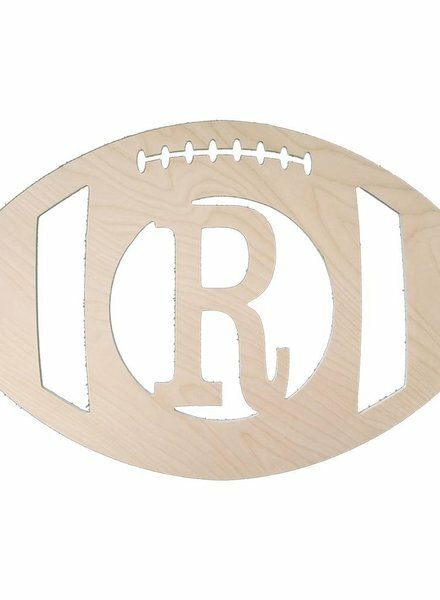 This wood sign features a single initial inside a football. It arrives unfinished so you can paint to match your favorite team. Also adorable for little football lover's bedroom decor. 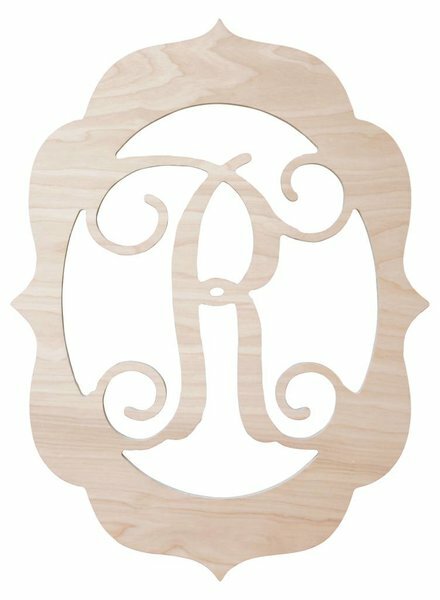 Wood wall sign featuring a vine script initial inside a scalloped frame. Arrives unfinished and ready to paint. 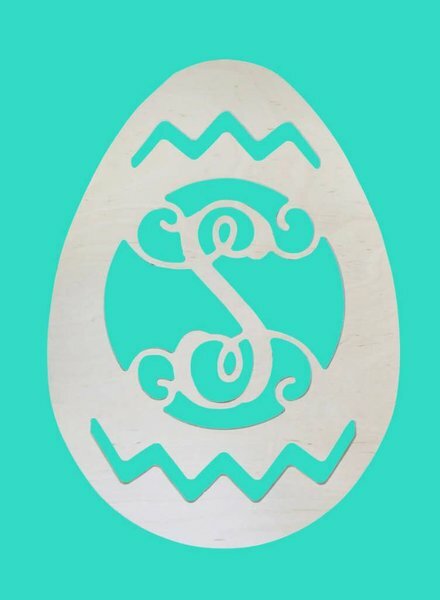 Perfect for a front door or home decor. Single vine initial featured in cross design. Comes unfinished and ready to paint. 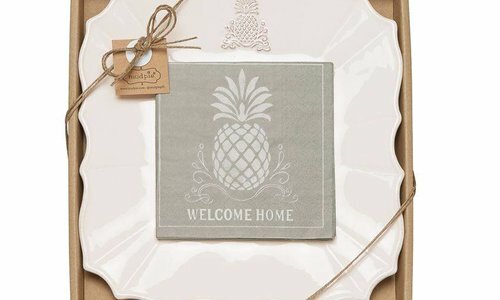 Great as a home decor piece, holiday decor or wedding gift. 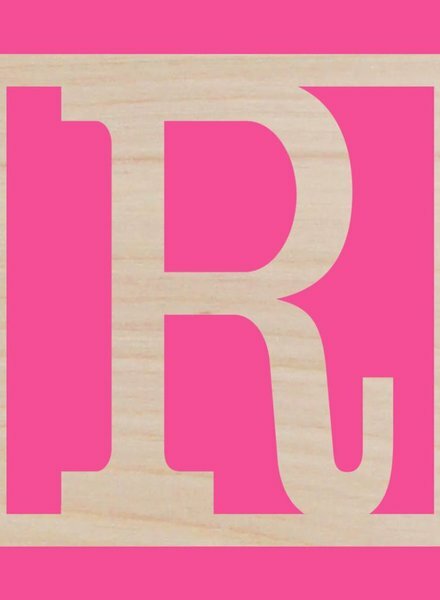 Single initial in wood square design. Comes unfinished and ready to paint. Makes a great door hang, housewarming gift or home decor piece. 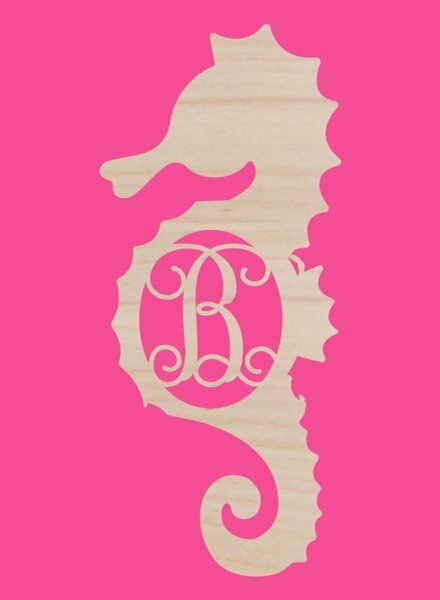 Single initial in wood seahorse design. Comes unfinished and ready to paint. Makes a great door hang, housewarming gift or coastal home decor piece. Single vine initial nestled inside a snowman design. Comes unfinished and ready to paint. 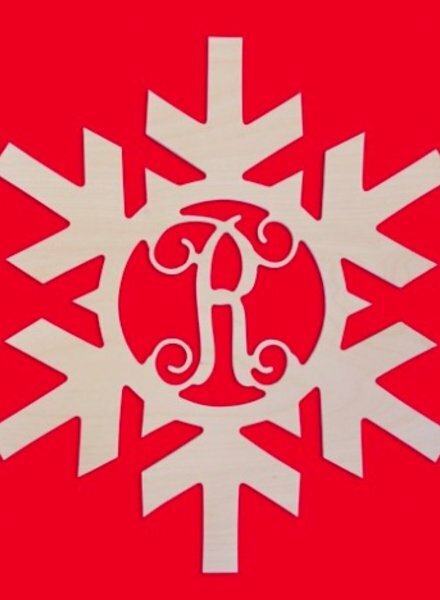 Great for winter home decor, add it to a wreath or hand it on the front door. 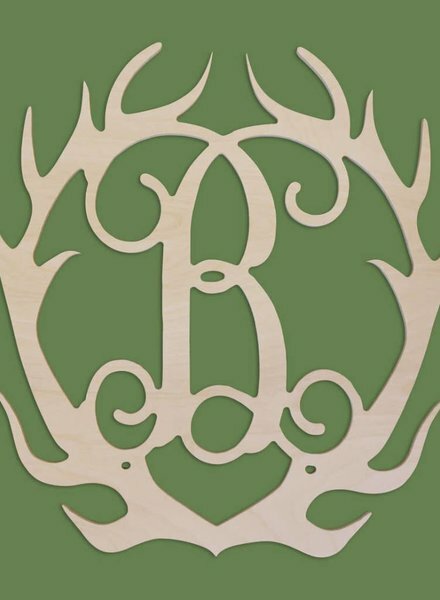 Single vine initial nestled within a set of antlers. Comes unfinished and ready to paint. Great for fall holiday decor or for man cave decor. 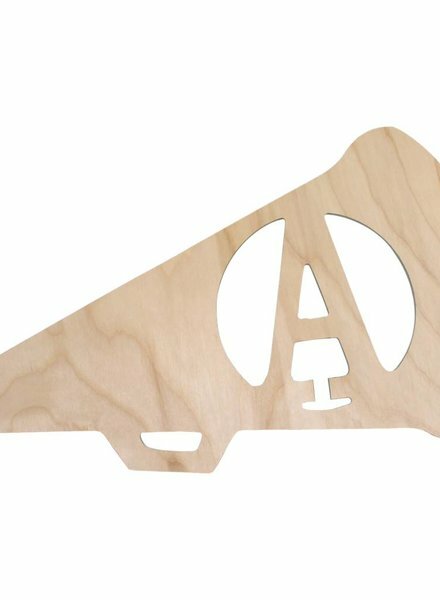 Birchwood wall decor features a single initial inside a megaphone. Arrives unfinished and ready to paint. 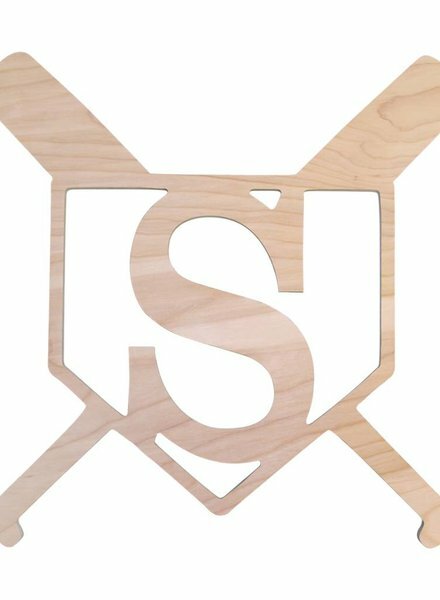 Wood baseball diamond sign with initial or number. Any aspiring baseball players perfect bedroom decor. Arrives unfinished ready to be painted. 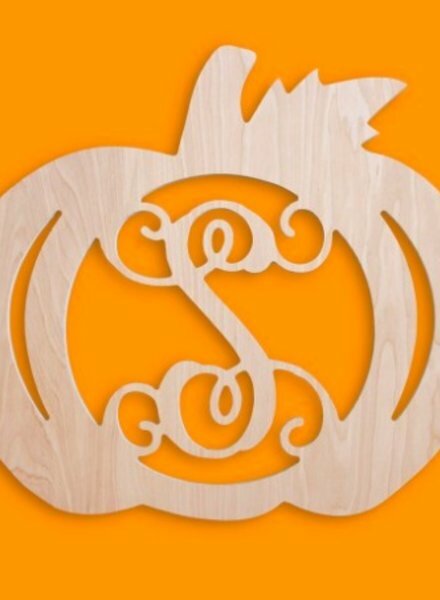 Single vine initial nestled within a pumpkin outline. Comes unfinished and ready to paint. 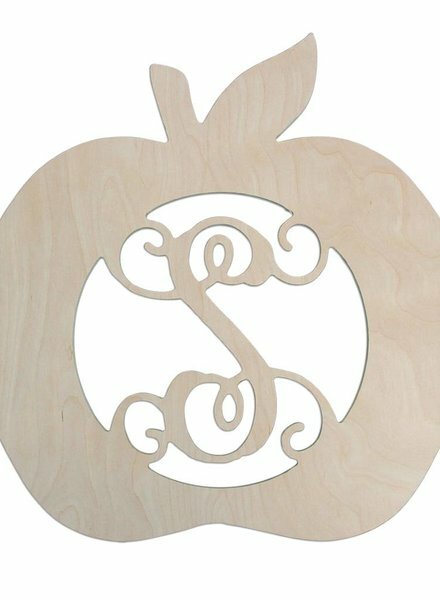 Great for fall holiday decor, put it on your front porch or above the fire place. 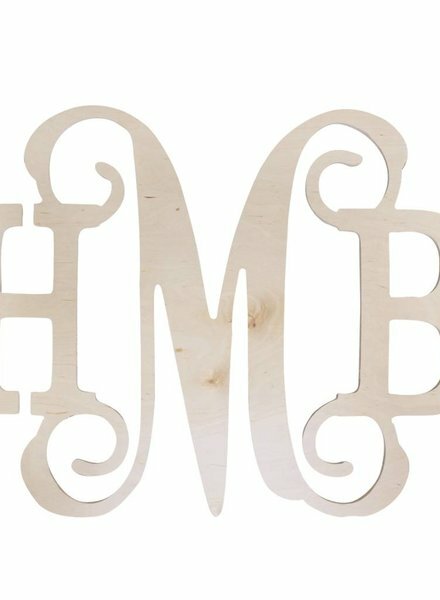 Single wood initial in classic font - great for home decor, kid's rooms, wedding decor & more. Arrives unfinished and ready to paint. 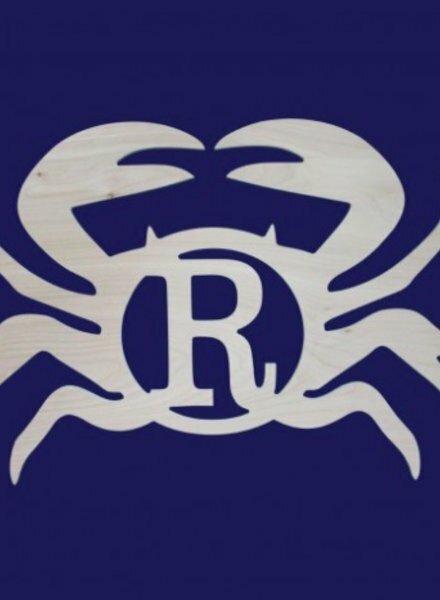 Single initial monogram within wood crab comes unfinished and ready to paint. 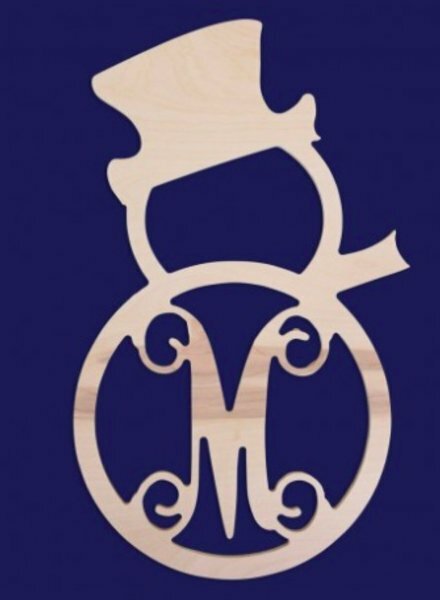 Great for your front door, back patio or anywhere in your nautical themed home.